Few of us are free of chronic pain and inflammation. We tend to rely on pharmaceutical drugs to relieve our symptoms, but this does little in the long run, and inhibits the healing process in the short term. 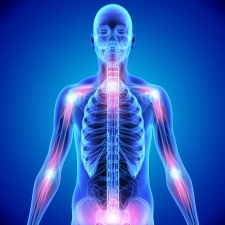 Lifestyle medicine is the key to resolving inflammation and pain. Dr. Saputo recommends the lifestyle, dietary, and supplements listed below to support the body's natural and innate healing process. Dr. Saputo's Pain and Inflammation Health Assessment will ask you about the kind of pain you have, how much it interferes with your lifestyle, and what you do to relieve your pain using both mainstream and CAM approaches.